Technologent, a global provider of IT, data, cloud and security services, and BP Logix, provider of low-code/no-code Business Process Management (BPM) solutions for rapid digital application development, yesterday announced a strategic partnership. The relationship, which is based on Process Director and its Process Timeline technology, will facilitate digital transformation and low-code/no code enterprise solution development for Technologent customers worldwide, empowering them to achieve the fastest time-to-value. BP Logix describes Process Director as an easy-to-deploy, business-friendly BPM solution that enables analysts and non-programmers to create engaging, end-to-end digital applications. Process Director’s award-winning predictive, Artificial Intelligence (AI)-enabled architecture allows for a smooth and powerful digital transformation journey. “Technologent strives to deliver IT solutions that ensure a leaner, more agile business model for our customers,” stated Heather Gonzalez, VP, Marketing and Strategic Alliances. “The ever-expanding requirements of global customers for digital transformation led us to partner with BP Logix. Our alliance with BP Logix offers customers a significant advantage as they transform their businesses for the digital age,” she observed. Looking for more? Download our BPM Buyer’s Guide for free to compare the top 24 BPM software vendors head to head! 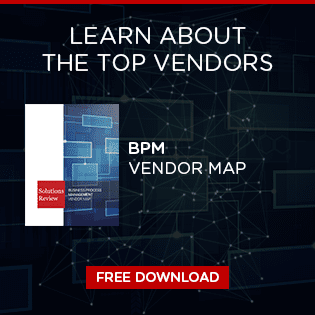 The guide also includes 4 key capabilities to consider while selecting a new BPM solution and 10 questions to ask yourself and the software vendor before purchasing.